Last night after weeks of debating what I would make I finally cooked up a recipe from Great Chefs Cook Vegan. This cookbook is filled with great recipes from some of the top chefs such as Thomas Keller, Daniel Boulud, Eric Ripert and Jose Andres, among many others. It was great to see what these amazing chefs had come up with for their vegan dishes. All of the dishes were really intriguing however definitely not for the amateur cook. Most of the recipes required expensive ingredients or ingredients that are not readily available at your local supermarket, co-op or famers market. This was one of the biggest challenges I came across when trying to decide which dish I would try out. I would have loved to have made Potato Leek “Risotto” with Chanterelles and Spinach, but Chanterelles are not easy to come by and cost more than my budget would allow. I settled on making the Grilled Polenta with Fresh Shell Bean Ragout by Suzanne Goin. 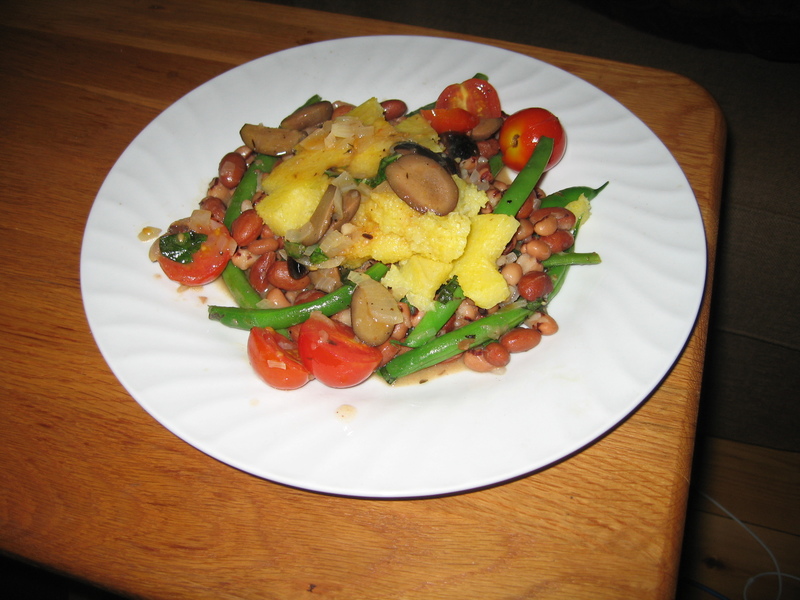 I had to adapt it a bit using what I could find; I used frozen beans for the fresh and green beans for haricots vert. I also didn’t grill my polenta since the foot of snow outside did not make easy access to our grill so I popped it under the broiler instead. This dish turned out great and the flavor was amazing! It was light, fresh and the polenta was nice and creamy- a great contrast to the crisp green beans. 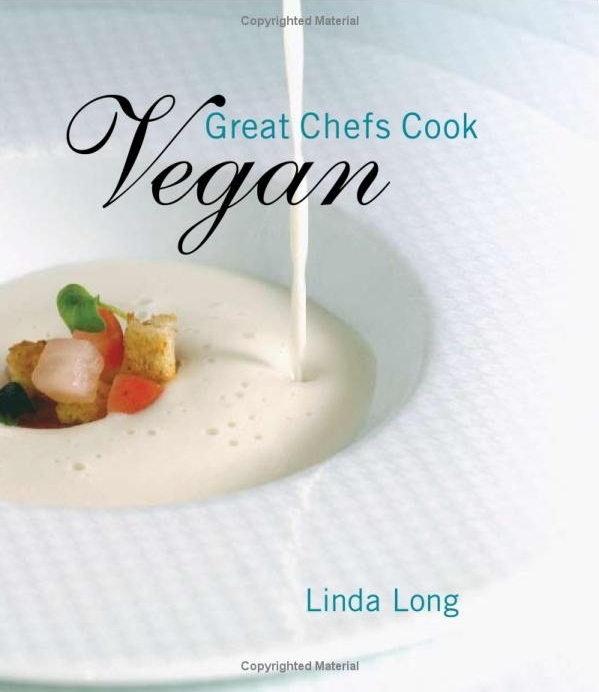 Overall this is an interesting cookbook and a great resource for making more sophisticated vegan dishes, however it is definitely not one I will be using regularly. The dishes are more complex and expensive to make than what I do in my everyday life but I will be sure to pick it up to make great “WOW” dishes for friends and family. If you’d like to pick up your own copy or take a peak into the book check out Amazon.com Here. Blogger Disclosure: Cooking For a Vegan Lover received this product free from Gibbs Smith Publisher.